If you are missing multiple teeth in a row, you may find that it is difficult to thoroughly chew all of your favorite foods and to smile with confidence. An implant-supported bridge in Juno Beach may be the ideal treatment for you. This remarkable tooth replacement solution can fill in the gap in your mouth and help you enjoy life to the full. A traditional fixed bridge, often called crown and bridge, relies on a patient’s remaining natural teeth for support. An implant-supported bridge, on the other hand, gains all of its strength from small titanium cylinders that are surgically placed below the gum line. They anchor a lifelike restoration that consists of two crowns and an artificial tooth (or teeth) between them. This type of bridge may be able to replace three, four, or more teeth in a row. 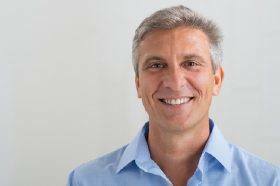 First, our team has to evaluate whether you are a good candidate for dental implants in Juno Beach. Then, we perform the implant placement surgery. During the procedure, we insert the implants into the jaw and close the gum tissue over them. Over a period of a few months, the implants bond with the bone around them. When that bond is nice and strong, we attach the bridge to the tops of the implants. 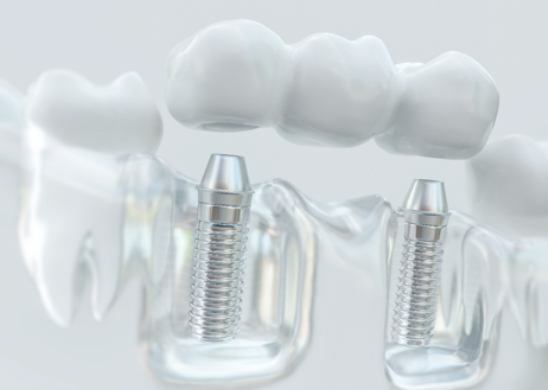 What Are the Benefits of an Implant-Supported Bridge? Placing this type of bridge does not require that we modify any of your remaining natural teeth. Since the implants fuse with the bone around them, you can expect your bridge to be extremely sturdy. The implants can prevent the jawbone from deteriorating, thus helping your face to maintain its natural shape. What Are the Indications for Needing an Implant-Supported Bridge? This type of restoration is often best for people who are missing three or more teeth in a row. Ideal candidates have sound oral and overall health and excellent oral hygiene habits. What Is the Best Way to Care for an Implant-Supported Bridge? You can brush your bridge just like you would brush your normal teeth. It’s particularly important to brush along the gum line so you can prevent harmful bacteria from infecting the area around the implants. Daily flossing and routine checkups with your implant dentist in Juno Beach are also essential. How Long Does an Implant-Supported Bridge Last? You can expect the implants that support the bridge to last for several decades — perhaps even for the rest of your life. The restoration itself may also last for 15 years or longer before it needs to be replaced. Are you interested in discovering whether an implant-supported bridge is a suitable treatment for you? Contact Juno Beach Smiles today to learn more about how we can restore your smile.